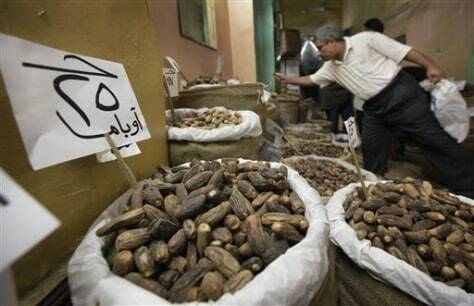 The sign at a Cairo spices shop reads "Obama, 25 pounds," indicating the price of top-quality dates. Fruit sellers often name their best dates after popular poloticians; their worst dates have been labeled after the unpopular George W. Bush. The Muslim holy month of Ramadan begins Saturday.